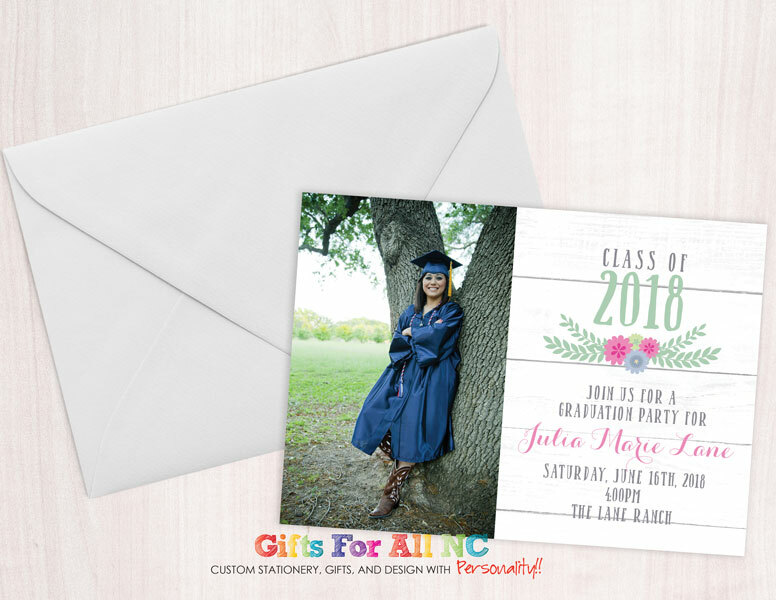 Show your style with this rustic graduation party invitation. This invitation is the perfect mix of rustic and elegant! With The Wood back, Photo of your graduate and party details, your party will be a hit.